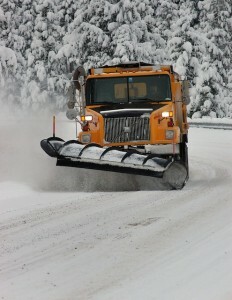 Need snow plowing in Minneapolis? Look no further. Laughlin’s snow plow teams are among the best trained and equipped grounds management groups in the country. They manage all kinds of commercial and industrial properties, meeting the toughest grounds care challenges required during winter weather. Our industrial and commercial clients know we provide reliable and effective service – regardless of what Mother Nature throws at us. We are up to the challenge. Our expertise, coupled with our snow plowing services, ensures you receive timely and fast snow removal all season long. Count on Laughlin’s to keep parking lots, dock areas, entryways and roadways safe. We are the guys who help keep your business running. Contact Laughlin’s Commercial Grounds Maintenance Team today for more information.